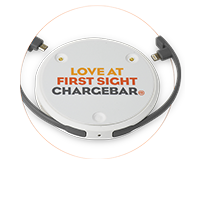 Chargebar offers the ability to brand all of our charging solutions with custom artwork for only a small investment. 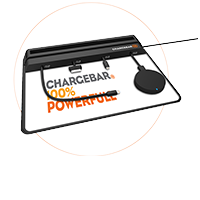 Find the template for your charging station from the list below and click the download button. Open the downloaded file in the program of your choice and design your artwork by following the printer guides on the template. 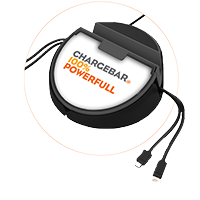 Chargebar does not offer any design solutions – giving you the ability to complete the design yourself. 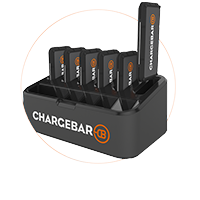 Once you are happy with your design, email your completed artwork with your order number to info@chargebar.com.au. No order number, no artwork! Your artwork arrives in a separate package to the unit. Simply remove and apply the artwork yourself. Don’t worry, it’s very simple and only takes a couple of minutes. 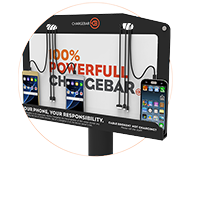 Click the download link of the charging station you wish to download. You have complete control over design. Change as frequently as you like! 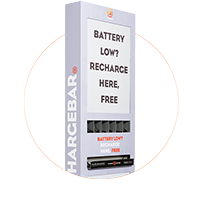 Ensure you receive the gratitude from battery thirsty users. For long term rental customers we offer up to 2 custom artwork replacements every year!